Indraprastha University will be conducting the IPU(CET) LLB Entrance Exam for admission into B.A. LLB and BBA LLB programs of the University. BBA LLB IP University Entrance Exam is conducted every year at the national level to shortlist those who will gain admission to the 1700 BA.LLB and 660 BBA.LLB seats of the ten law colleges affiliated to the Guru Gobind Singh Indraprastha University. IPU has announced the important dates for the upcoming Law Entrance Exam. 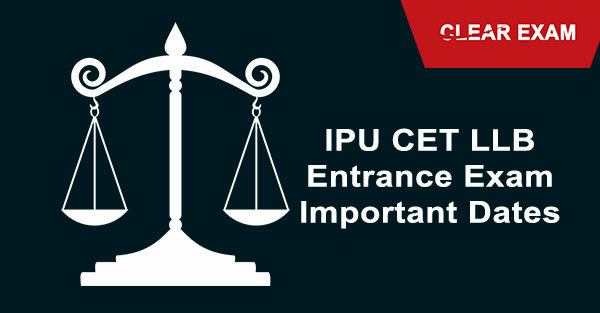 The first step towards preparation is knowing all the IPU CET important dates 2018 which are exam related dates so that no deadline should miss. If you want to be one of the shortlisted students and are looking forward to this law entrance exam then read further for BBA LLB IP University Important Dates, and mark your calendar. There are no different IPU CET important dates 2018 for different law colleges affiliated to the Indraprastha University and all below colleges follow the same schedule of IPU CET important dates and that is why this law entrance exam is called the IPU CET common entrance test or CET. There is an age limit mentioned in the IPU CET Eligibility Criteria 2018. One should note that these IPU CET important dates 2018 are tentative and can be changed by the university at its discretion at any time and one must keep an eye out for the official notification and more IPU CET exam related information on the official portal of the university which is www. ipu.ac.in. It is here that official IPU CET important dates related information will also be published. However, in the meantime, that official IPU CET important dates 2018 are announced one can prepare according to the above mentioned IPU CET important dates as these are dates estimated by the experts in the industry. Once the IPU CET LLB Application Form 2018 is filled then one can see the filled in application details. That completes all IPU CET date related information one should be aware of. Read IPU LLB Exam details here. Go through the post to know the IPU LLB Important Dates 2018.